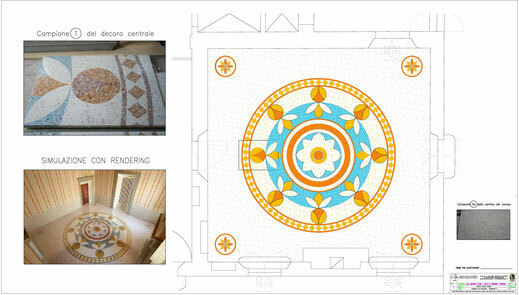 The Venetian Terrazzo And ancient art Which considers the floor come canvas A, a means to realize the precious designs with marble From Multiple Shades, available in gold plated glass or silver and mother of pearl inlays.The careful study of the environments, and the brightness of the future arrangement of the furniture, will be elements of fundamental importance to achieving a pleasant and appropriate RESULT aesthetic.The company offers an accurate Danilo Ballaustra Designing That takes into account the directives of SIA employed What the clients, trying to realize, with Materials Chosen to perfection, Even More Difficult requests. Each of the floors that make up the terraces to the Venetian, in need of care and interventions for wear and function of aging. 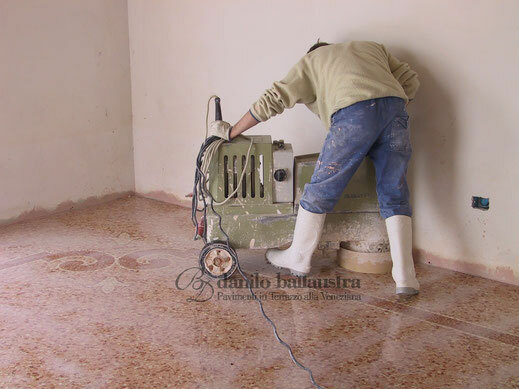 Is our usual practice collaborate with institutes of superintendence, and undertake adequate report, the state of conservation of the floor to determine the type of restoration to be performed. After the estimated age of the floor, after identification of the composition of materials, occur the methodological choices of intervention. Each restoration will be treated in a specific way, each material will be chosen with extreme caution, making sure the care up to the smallest details in order to obtain a perfect realization. In several years we have perfected an after-sales service, designed to safeguard the achievement of paving after the finished work and especially over time. At the discretion of the customer, we are able to provide both a maintenance service for modern achievements of recent execution, and extraordinary maintenance for the ancient terraces. 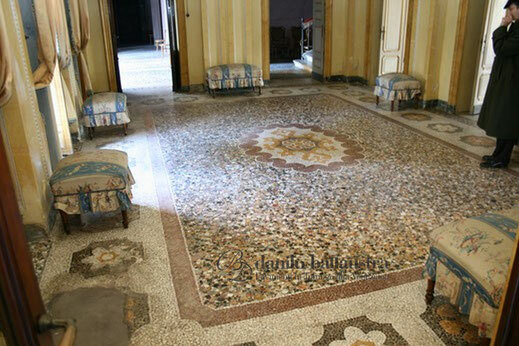 From time to time, it will be suggested to the customer what kind of service would be more appropriate to follow to bring the floor to its original splendor.